I really wanted the Friday Night Lights little instrumental theme to be on repeat here…they had pink yeti coolers, cheesburgers for catering, beer and a fake sunset step-and-repeat backstage—and the makeup look contrasted all of that, I think. It did feel very pink and overly done, but it was beautiful! Tom Pecheux used Brandon’s Mac collaboration: a pink gloss, a pink blush, a peachy eyeshadow and a purple liner to make these Barbie-like faces. 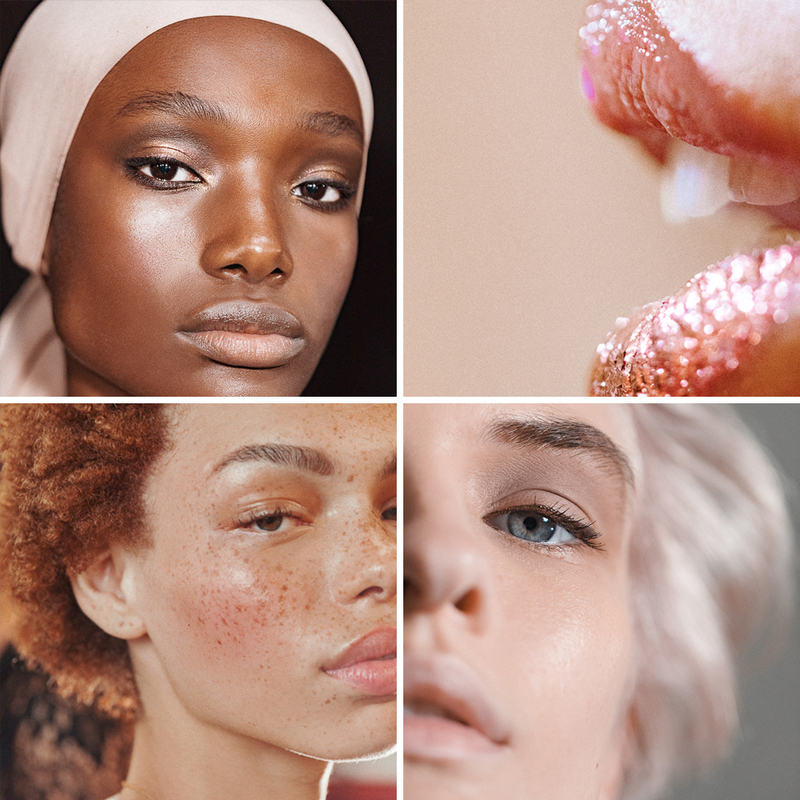 Models wore MAC Powder Blush in Pinch O’Peach and Pink Swoon blended together with the Hyper Real Glow Palette in Shimmy Peach, with Lipglass/Brandon Maxwell in Baby B mixed with Cremesheen Glass in Pagoda on the lips, defined with a lip pencil in Whirl. On the eyes, models wore Kajal in Flourish Me Beautiful, Dot’s Dots/Brandon Maxwell in Magic Mawmaw and Powder Blush in Pink Swoon blended together. Iridescent Powder in Silver Dusk was applied in the corners of the eyes and as a cheekbone highlight.